The wildlife department carried out this raid on the appeal of WWF Pakistan, which was getting quite a few complaints from inhabitants about the illegitimate deals of the endangered species in Karachi. The officials took in possession nine flap-shell turtles and more than three dozen endangered green sea turtle hatchlings which were being unlawfully traded at two aquariums on Burnes Road, Karachi. Chelonia mydas or the Green Turtle is a salt water species that is rare and Endangered (EN) in the Red List Category of IUCN. Lissemys punctata or the flapshell turtle is a freshwater species of turtle Native to Pakistan and found in South Asia. Their IUCN status is LC(least concern). The flapshell turtles were set free at Haleji Lake, Thatta whereas the salt water green turtles new home became the Sands-pit Beach, Karachi. This triumphant was a noteworthy attempt to stop the progress of unlawful business of wildlife in the province which had been in practice in the form of hundreds of freshwater turtles rescues in the last year. 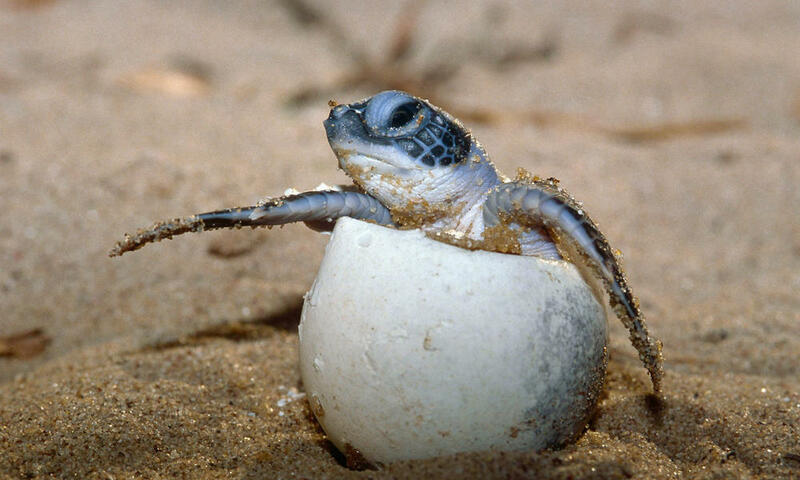 Similar to the majority sea turtles, green turtles are extremely migratory and employ a broad range of alienated regions and territories during their life span. 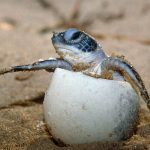 Upon exiting their first home, the nesting coasts, it is assumed that hatchlings start on their marine migrations, possibly hovering inactively in the Ocean gyres also known the chief marine current. In the next phase of life, if they survive predators in the oceanic zone, these turtles move to sea grass area or bottom algae where they look for food and raise to adulthood. They reach sexual maturity and then set on another journey in the form of breeding migrations between foraging nesting zones. This is the behavior in both genders and they pass through different oceanic zones, frequently straddling hundreds or even thousands of miles. Please note that in Pakistan, every fresh water and marine species of turtles is protected under the wildlife protection regulations. WWF Pakistan is anxious about the increase in the unlawful trade of the marine wildlife within the country owing to their rising demand as pets. Their unlawful trade in pet stores, social media and sales over the internet is rising at a disturbing rate which needs to be firmly observed.